Here’s where I started to discover misalignments and such. Even though I used a template, created from the door itself, to make the opening in the fuselage, the doors still don’t fit a tightly as I’d like them to be. It’s also the point where any misalignments become noticeable. Here’s my first test fit for the right side door. 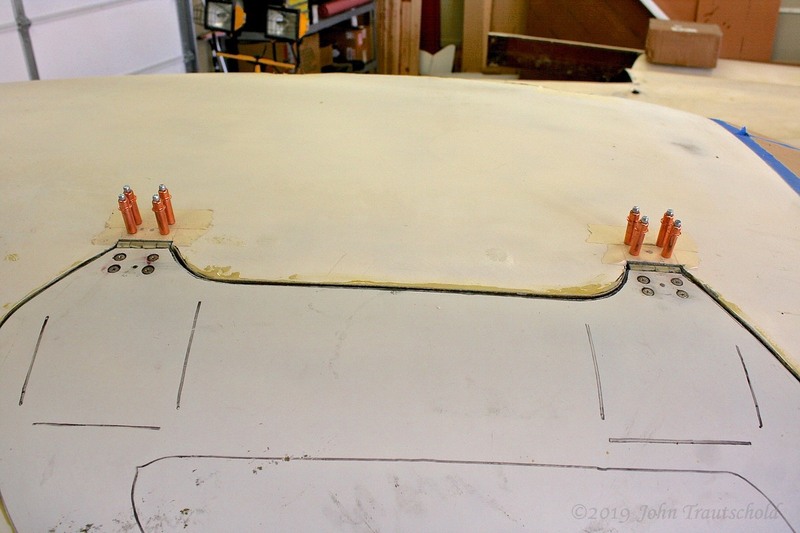 I need to lock the door into place so that I can accurately drill the holes into the fuselage for the door hinges. But even before that I have to make sure that the hinge fits properly. That means multiple test fittings along with a lot of cutting and filing to get that door to fit. Installing these doors is quite a process! I’ll be glad when it’s finished! 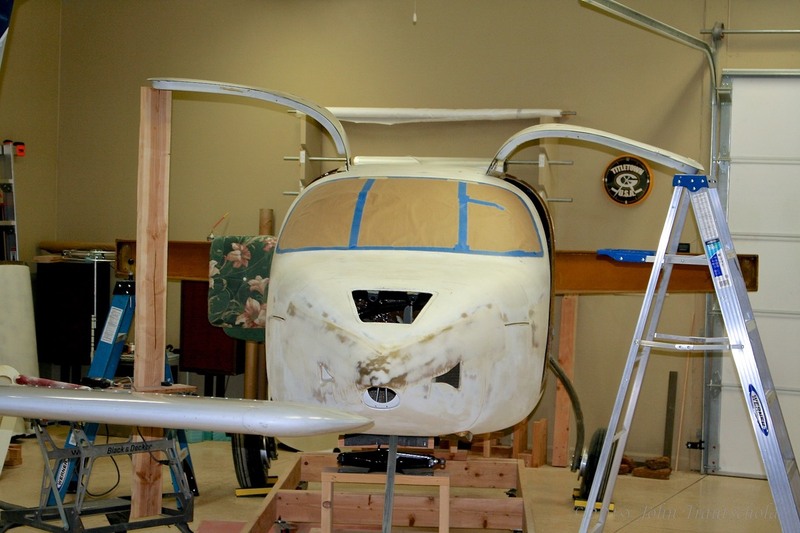 The right side door is now in place (test fitting) so it's time to install the hinges into the top of the fuselage. And that’s where I am for the moment. I’m currently test fitting both doors and making adjusts as needed. One big adjustment for the left side door was removing one of the hinges, fixing the slope at the hinge location on the door itself, then re-installing the hinge. Both doors on their hinges checking for smooth operation. The photo above shows both doors on their hinges and working properly. The next step is to install the door latch mechanisms. See Section 5.3.0 for that process!